Hiab, part of Cargotec, will showcase its latest sustainable technology of load handling at the Elmia Lastbil fair in Sweden. The presented products include a new vehicle solution for environmentally smart loading, the HIAB S-HiPro 130 refuse collector, as well as the new MULTILIFT XR21SL hooklift. Carl Gustaf Göransson, Senior Vice President, Sales and Markets at Hiab, comments: "This year marks the 70th anniversary of our HIAB products and the 65th anniversary of our MULTILIFT products. We have always put extra focus on safety in all of our products, but sustainability is equally important. Our customers want products that are not only efficient and durable but also environmentally friendly." At the exhibition stand in Elmia, Hiab introduces a totally new vehicle solution. 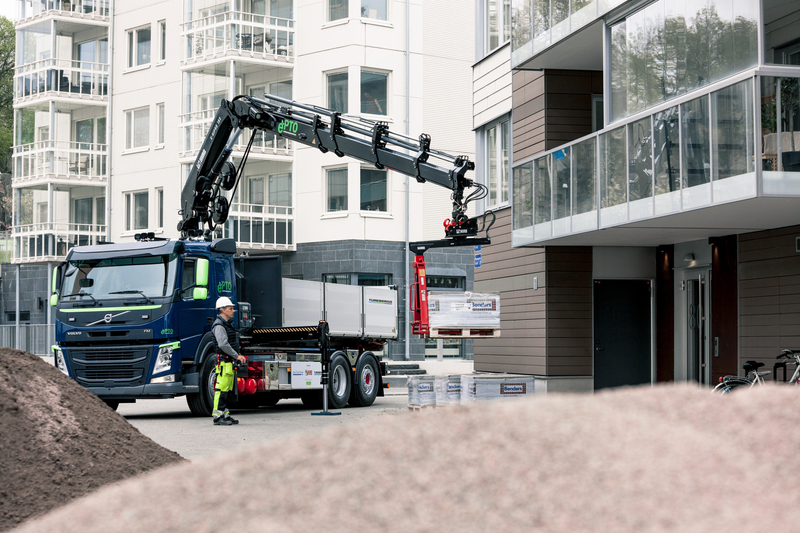 It is the new Volvo FM (Euro 6), equipped with Hiab's most energy-efficient loader crane HIAB X-HiPro 192 loader crane and MULTILIFT XR18SL hooklift with ProFutureTM package. The truck uses an electro-hydraulic system, or electric power take off (ePTO), installed additionally to the traditional engine power take off. This enables the crane operator to work with the engine switched off - quietly and free from exhaust fumes. The ePTO allows the loader crane to be powered electrically by a plug-in system, instead of the vehicle's engine. Using electric power instead of conventional diesel power offers considerable benefits, including improved energy efficiency and lower noise levels, making it possible to work indoors or in residential areas during night time. For example, the energy required to operate the crane is 60-70 percent less than for a conventional crane. Operation of the ePTO in combination with HIAB X-192 HiPro is very straightforward. When the crane is not in use the electric pump is automatically switched off to save energy and battery capacity. The crane uses an advanced load stabilisation system, LSS, to enable quick and easy crane operation, as well as hydraulic system that cuts energy losses to a minimum. The MULTILIFT XR18SL hooklift with Pro FutureTM package is 30 percent more energy efficient and three times faster than a conventional hooklift. This is due to the unique hydraulic system, which uses the hydraulic oil more efficiently, and because the hooklift weighs significantly less than a conventional hooklift. "I really believe in this concept. 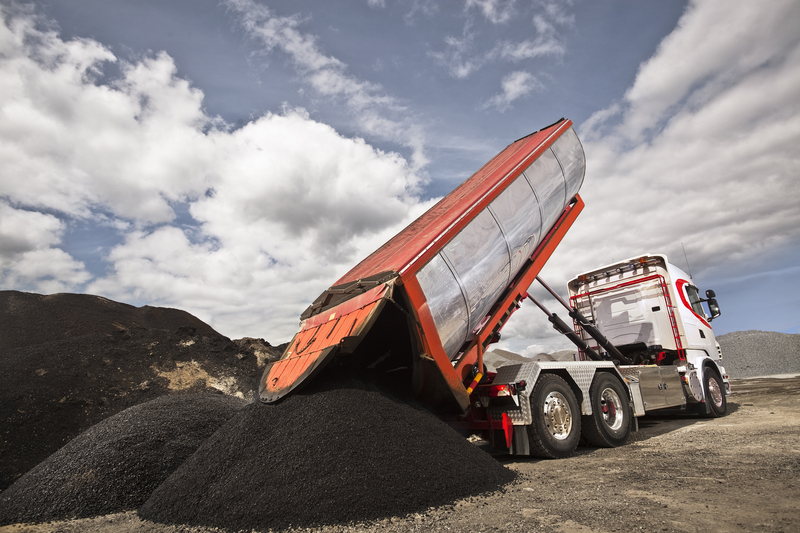 It minimises emissions and can replace conventional systems in vehicles such as refuse trucks and loading vehicles," says Hans Winscher, Head of Sales for Sweden and Norway at Hiab. Hiab will also display the new HIAB S-HiPro 130 refuse collector, which transports up to 25 percent more waste on every trip. This makes collecting household waste in congested cities faster, safer, cheaper and more environmentally friendly than before. Mounting the crane on top of the collector allows the collection of substantially more waste per trip, saving fuel, driving time and the environment. At the exhibition stand, customers can also see the new MULTILIFT XR21SL, the lightest, and strongest low-built hooklift available with 21-tonne capacity. With the ability to lift more at lower weight, it ensures maximised payload. The base model is enhanced with the optional Pro FutureTM package, which enables loading and unloading, tipping and lowering to become even faster, smoother, quieter and more fuel-efficient. The Pro FutureTM package will save just about everything - from fuel and time to pollution and noise. Savings over eight years can be up to 30 percent saving from the CO2 emissions and 10,000 EUR saving from the fuel costs. 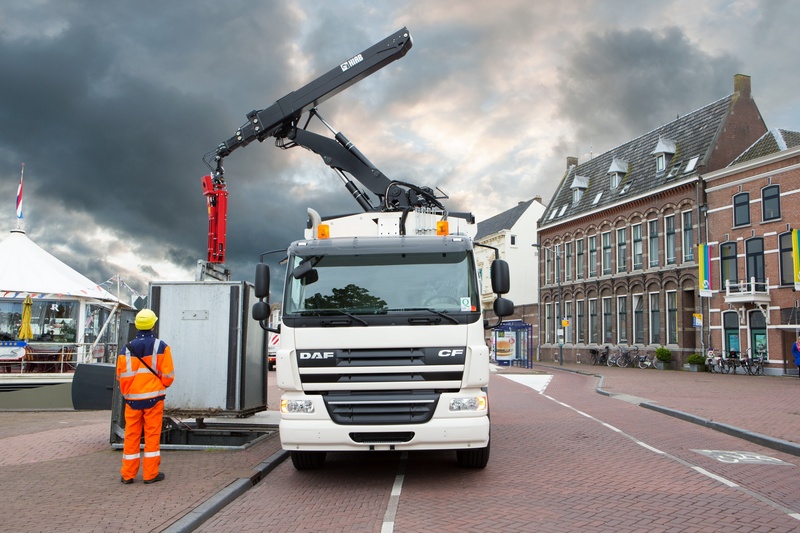 In addition to presenting the state-of-the-art technology, Hiab invites crane drivers to take part in Sweden's qualification rounds of the 2015 World Crane Championships. The qualifications will take place on Friday, 22 August at 1.00-3.00 p.m. and Saturday, 23 August at 10.30 a.m. until 12.00 noon, and 1.00-3.00 p.m. at Hiab's Elmia stand. The winners of the qualification rounds will proceed to the finals, which will be held at the Commercial Vehicle Show in Birmingham, United Kingdom in April 2015. There, the winner of the final will receive a cheque of EUR 20,000 for the purchase of his or her next crane, and a traveller's cheque of EUR 5,000. For more information on the World Crane Championships, please visit www.hiab.com. Hiab invites all interested parties to meet us and see the cranes at the Hiab stand, U:510. The fair takes place in Jönköping, Sweden on 20-23 August 2014.